Fashion Happening Nashville is all about supporting local design. One way we do that is through an occasional pop up fashion experience that gives Nashville fashion and accessory designers the platform to share their work in a unique space, in front of a broad crowd and gives Nashvillians the chance to discover emerging designers in a fun setting. FHN seeks to add to Nashville’s growing and diverse fashion scene and provide an alternate venue for area designers to showcase their work. We aim to connect the fashionable with the fashion makers all while giving back. (Past charities include Dress for Success, Doctors Without Borders, and The Nashville Fashion Forward Fund). We want our events to be accessible to all fashion lovers. In the past, attendees have included anyone from fashion students and retail workers, to stylish octogenarians. They come from all backgrounds, with one thing in common, an interest in Nashville's burgeoning fashion design scene, and a desire to support locally made goods. Fashion Happening Nashville was founded in 2014 by Hunter Claire Rogers and Anna Zeitlin. 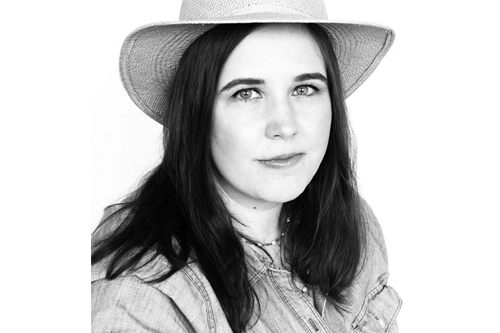 Anna Zeitlin is the milliner behind Fanny & June. She has worked back of house during Paris Couture Week. And has shown her own work at LA Fashion Week. Upcoming events to be announced. Sign up for our mailing list so you never miss a Happening.